Just a selection of pictures of other things to see. Some from the gaming going on (including the Titan game using 40K rules), painting competition and some shots of the latest addition to the exhibition - note I only took pictures of the new diorama as the rest i've got hundreds of shots of already from previous trips or from seeing the boards at Warhammer Fest (without the problem of taking pictures when the boards are under spot lights and behind glass). 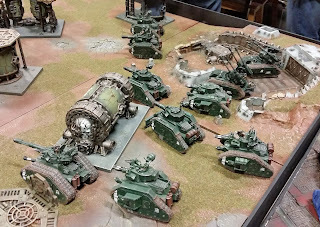 Here are the pictures from today's Forge World Open Day. These are just of anything new on display. Pics from exhibitions etc will wait till part two. First a bit of info from chatting to the Specialist Games team. Specialist Games is all plastic, so that's BB teams, Necromunda gangs etc. Star Players, special characters etc will remain resin though. While they would like these to be plastic they just don't have enough designers to do that. Most star players are done in peoples free time outside of work and then bought by FW on a freelancers rate. Necromunda is not the reason for Adeptus Titanicus being pushed back. Necro has been in the plans since March (I think it was March) and the release date is pretty much still on course. AT has been pushed back because it has grown far beyond what was originally planned. 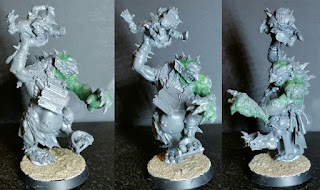 The White Dwarf which has the pictures of Mortarian which leaked recently also has the Necro preview in, so it's a surprise pics of that didn't leak as well. Gobbo pitch won't be around till there is a second team to go on the back of it (so presumably the Elven Union). Elven Union will hopefully be out for Christmas. 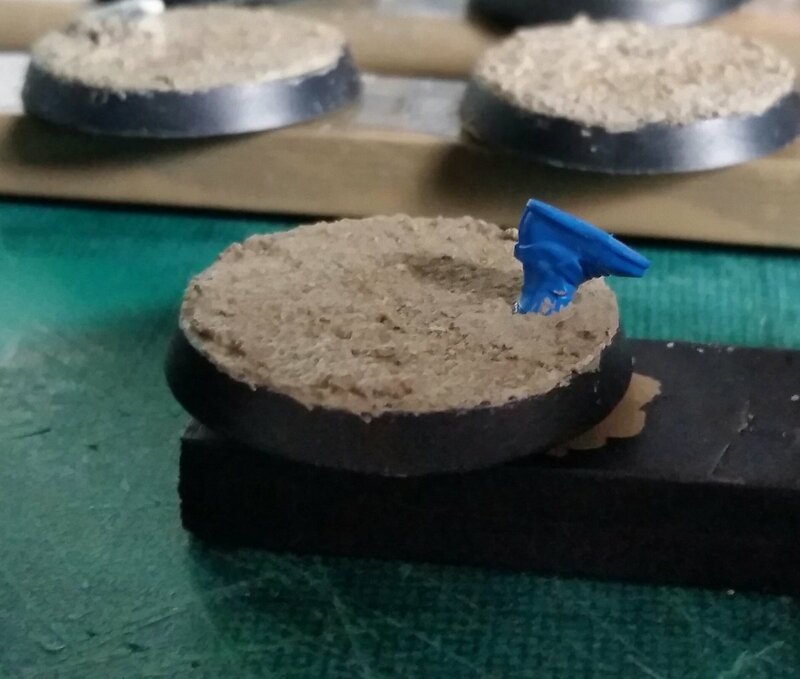 Minotaur (first previewed at Warhammer Fest) comes with alternative heads and arms. 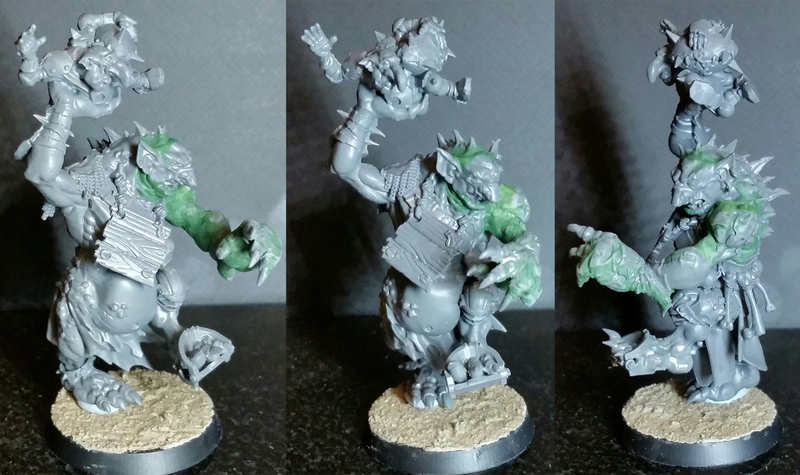 So the Gobbo's are now built and undercoated white. This includes a Troll I picked up. I really do like the model, however I couldn't resist a bit of a repose. His shoulder pad will stay separate until he's painted. 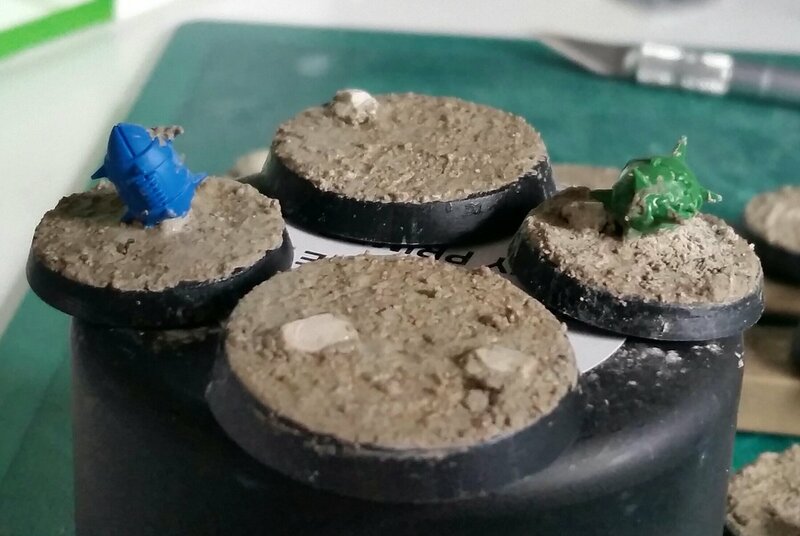 I ended up doing some more bases - planning ahead I knew I would need more for the second resin set from Forge World and probably at some point a second Troll. At the same time I did two ball markers. They along with the all of the others got cleaned up and then undercoated. Next Saturday these should be getting a game at Warhammer World. I doubt I will get any paint on them before then though.